Cobalt is necessary for the production of the most common types of lithium-ion batteries, which in turn are powering the current boom in electric vehicles. And while the switch from combustion engines could significantly reduce greenhouse gas emissions, it could also create bottlenecks that may stall the process unless they are identified and addressed early on. As the world’s electric vehicle stock is expected to grow from 3.2 million in 2017 to 130 million in 2030, the overall demand for cobalt could increase threefold within the next decade, outstripping supply already in 2020. Annual cobalt production in the EU is around 2300 tonnes, while demand is already about nine times higher. As the gap between supply and demand is expected to increase in the next decade, the EU will continue to depend on imports for the foreseeable future. Whereas in 2017 65 % of the world cobalt mine production (160000 tonnes) was enough to satisfy the global demand (104000 tonnes), the latter is expected to skyrocket in the next decade. The report predicts that, under average conditions, demand will outgrow supply by 64000 tonnes in 2030. However, the global supply chain of cobalt is fragile due to extreme concentration. On the one hand, more than half of the worldwide supply (126000 tonnes) is mined in the Democratic Republic of Congo. On the other hand, China produces almost half of the world’s refined cobalt. According to the JRC report these risks will persist in the future, increasing in the short term but potentially decreasing between 2020 and 2030, when currently ongoing exploration projects could add new suppliers and diversify the market. Cobalt prices have tripled between 2015 and 2018. A continued trend might seriously impact battery manufacturing, as cobalt accounts for a significant part of production costs. Substituting cobalt with other metals is technically possible and could reduce demand from electric-vehicle manufacturing by almost 30%. However, substitution will not be enough to resolve imbalance in the mid-to-long term. Doomsayers always argue that such and such resource will be exhausted .. by 1980, 1990, 2000, 2020 etc. Let’s not fall in that trap. Hard to see how this can fail to make EVs yet more expensive. I understand that there is also a potential problem with the supply of some of the rare earth elements needed for efficient motors and electrical equipment. Again China seems to have many of these under its belt as well as Cobalt. As for cobalt mining in the Congo: It is a disgrace both in eco. and human rights terms. This rush to EVs has serious unintended consequences. There goes another country’s economy to its doom. The CURRENT politicians are virtue signalling only. Long before the chaos of their actions has become evident they will be gone and forgotten. Just because you’re a Socialist the law of supply and demand still applies. Well, the UK’s ridiculous Climate Change Act is ten years old and shows no signs of being repealed. Relatively few people seem bothered by it to date. Maybe they are unaware it’s behind their steep energy bill increases. 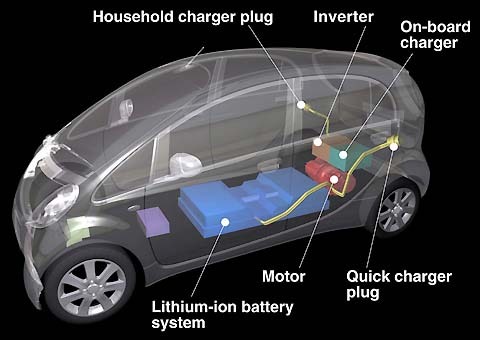 There is an answer to this problem – hybrid electric cars without the batteries. Removing the batteries isn’t a problem because there soon won’t be the electricity to charge them if the polis don’t throw out the Climate Change Act and all the green rubbish that has grown up from it. Signs of it are hard to detect. The answer is a steam powered car with the boiler fired by ORGANIC cow dung (or your local forest if the vegans ban cows).